the inner qualities. It 'a space where you can find the answer to the question: how can I have a happy life? Over 2500 years ago, Shakyamuni Buddha obtained a direct knowledge of the nature of reality, improving the qualities of wisdom and compassion. He revealed his path to His disciples. In the 11th century, Atisha brought this teachings to Tibet with the display of Lam-Rim – the stages of the path to enlightment. The Lam-Rim found its peak through the teachings of the great holy tibetan Lama Tzong Khapa in the 14th century, these teachings passed from teacher to disicple up until now. All the study programs of FPMT, proposed by the Institute have the purpose of allow the world to meet the tradition of Mahayana Buddhism, both philosophically and spiritually, and to offer valid tools to comprehend the mind and evolve the thought towards a more satisfying way of life. Discovering Buddhism is a Study program designed to illustrate the main steps of the gradual path on wich the analitic meditation of tibetan b uddhism is based. To acquire these bases is fundamental for those who are interested in continuing the philosophic study in buddhism and also to learn how to use meditation as an instrument to make the quality of our life better. Completing all modules, also with the ones dedicated to retreats and presentation of the thesis, the students will achieve a knowledge of tibetan Buddhism philosophy on an introductory level and will get a certificate of completing the entire course. The subscriptions to the 2016 entire course are open. What offers the study program. • The mind and its potencial. • The path to enlightment. • The importance of the spiritual master on the Buddhist path. • The flow of life : death and rebirth. • Mind as creator : everything on karma. • Refuge in the three jewels : Buddha, Dharma, Sangha. • Lam-Rim meditation : enstablish a daily practice. • Bodhicitta : The mind of enlightment. • Mental training : how to deal with problems peacefully. • Appareance and reality : the wisdom of vacuity and interdipendence. • Transform our reality : introduction to the Tantra. The sequence of the subjects can be presented in a different order than the one shown above, at the teacher discretion. Every Subject ends in one weekend, from Friday evening to lunchtime on Sunday(except for some subjects that can overlap with festivities or holydays) and it is exposed by a teacher or a tutor recognized by FPMT and the Lama Tzong Khapa Institute, for value of practice and qualification in Buddhist Philosophy studies. Sessions are structured with frontal lessons, discussion classes and meditation related to a specific topic. Every two or three subjects a practice path will be dedicated to a retreat on the topics discussed previously and to the presentation of a short oral thesis by every student. The practice path will start on thursday evening and will end on Sunday afternoon at 4.00 PM. On calendar festivities and holydays the practice path may be extended. Subjects and practice paths are collected in 5 modules. The study program is complete only if the student has attended all the subjects and all the practice paths. The student will acquire a knowledge of tibetan Buddhism philosophy on an introductory level and will get a certificate of completing the entire course. During this course will be eamined What the mind is according to Buddhist description, what is its nature, wich are its functions. On this bases it will be considered how the mind is fundamental and how it exercise an incisive action inn our experiences of happiness and sufferings, and how can we become to gain more awareness of these inner processes. In our society there is more and more interest towards meditation, but a lot of misunderstandings on what is it. In Buddhism, meditation is explained simply as a process to familiarize the mind with mental states that produce happiness and reduce the states that produce discomfort or suffering, developing the most deep satisfaction. During this course we will take a look on the fundamental techniques of various types of meditations(the concentrative meditation, analitic meditation, visualization) and the fundamental purpose in practicing it, that is to get closer to our deep innate wsisdom. During this course will be presented an overview of the entire path to enlightment according to Tibetan Buddhism. We will focus on 3 fundamental aspects: the attitude to emerge definitely from suffering, the mind of limitless compassion (bodhicitta), and the correct view of reality (shunyata), looking at how to develop properly these attitudes and how to put them into practice. The explanation is based on an ancient text of Tibetan teacher Lama Tsong Khapa. 4. The importance of the spiritual master in the Buddhist path. During this course we will observe the role of the spiritual master(in tibetan “Lama”) in Buddhism. To make steps formard on the buddhist path, that is the path towards the liberation and the total awakening, is essencial to develop a correct relationship with a qualified master or mistress. The master plays a central role in all buddhists traditions, but this role is sometimes misunderstood, creating the possibility of serious problems, both for disciples and the master. We will discuss the qualifications of a valid Master, the advantages in having a good and correct relationship with the master, the disadvantages in not having a correct relationship with the master and the way to develop a relationship of greater benefit. 5. The flow of life : death and rebirth. During this course we will discuss and reflect on death and on what can happen after it. According to Buddhism, through reflecting on death and impermanence and the comprehension of the fragility of our existance, we can face the life in a more realistic way. To Create the base for a deep peace and, in the end, to obtain the liberation and the total awakening. Otherwise, living a life all based on obtaining the “worldly concerns” that are fame, wealth, etc., we keep on creatung the causes of suffering. We will discuss the various realms of existance and the role of our actions (karma) in determining the conditions of our lives, now and in the future. 6. Mind as Creator : Everything about Karma. ” The various worlds are produced by the actions ” Vasubandhu. According to Buddhism, all our experiences, both good and unpleasant, depend on our Karma, therefore on our actions, that are performed on the bases of mour mental states. Through awareness and understanding of this process we can learn to live with more serenity to avoid the creation of suffering in the future. We will analize the various aspects of karma starting from classic buddhist’s texts, and we will look at how to apply these teachings in ordinary life. 7. 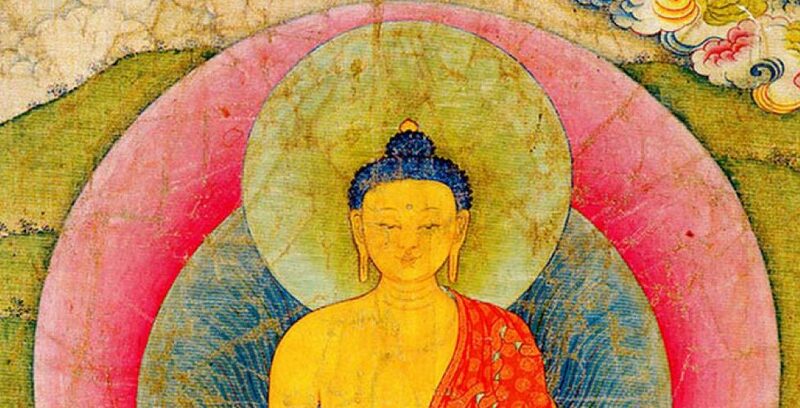 Refuge in the 3 Jewels : Buddha, Dharma e Sangha. To take refuge in the 3 Jewels – Buddha(the spiritual guide), Dharma(the realization of the thruth of things), and Sangha(the spiritual community) – it’s the gateway to enter the Buddhist path. To take refuge means to go in a certain direction to obtain protection from suffering and from the several problems of life, through a better comprehensionof the realities of things. WE will examine the different objects and types of Refuge , the way of take refuge and the reasons for taking it, thorugh the words of the Masters and Lam-Rim texts(the gradual path). 8. Lam-Rim meditation : enstablish a daily practice. To make positive changes in our life we need an inner transformation, so we need to create the right conditions and apply the appropriate methods. In Tibetan Buddhism, besides “formal” meditation, there are a lot of methods for purifying the mind from the obstructions and to collect “conductive energy”(merits). These practices creates the conditions for a deep comprehension and for the develop of positive qualities, till the full awakening : the Buddhahood. During this course we will talk about mental attitude that is the base of the practice and we will learn how to do some preliminaries practices : to prepare the meditative space, to display an altar, to offer the mandala, to make prostrations, to do Vajrasattva’s practice and to take Mahayana’s precepts for 24 hours. All Buddhist teachings haev an aim : the liberation from suffering and the obtaining of the true happiness. To follow this path, we have to understand that suffering and its real causes comes basically from inside us, from our disturbing mental states and from our action made under the influence of ignorance. So, through the knowledge of our inner world, it is possible to find the tools that allows us to emerge from suffering and obtain real happiness. During this course we will discuss the 4 Noble Truths, the factors that create suffering, and the path that is practiced to get out from the cycle of conditioned existance(Samsara) and reach the Nirvana, the liberation from Samsara. The mind of enlightment , the desire to obtain the full enlightment for the benefit of all sentient beings, it’s the core of the Mahayana path, the “great vehicle” of Buddhism. Beyond our quest fro liberation from suffering and our problems, the bodhicitta encourages us towards an awakening of our potencial, from the state where we can help the others in order to obtain freedom. This motivation it’s the base of the practice of the 6 perfections, the altreuistic activities of the bodhisattva. During nthis course, we will talk about the practice needed to open your heart and develop true love and compassion, using the meditative techniques taught by Buddha and by the great buddhist masters. In daily life, we found ourselves facing problems and difficult situations. The Mahayana Buddhism teaches the techniques to convert these conditions in tolerance, patience, wisdom and compassion. The Buddhist teachings of “mental training” (lo giong), speak about the practice of “exchanging ourselves with the others” : to exchange our egocentrism with altruistic attitude, recognizing the modality in which our egoism creates all our problems. With this practice, also the situations and people more difficult will become opportunities for the practice of Dharma. According to buddhism, our reality depends on our concepts, and liberation from suffering is impossible without the comprehension of the real nature of existance: the vacuity of the essence concrete and independent from people and things. The way we perceive things is braided with the ignorance , that make us misunderstand “hallucinations” for reality, and so we are driven by mental afflictions: attachment, hate, gelousy, etc., experiencing more and more pain. We will talk about vacuity and interdependence and about how comprehending both of them can help us gaining more happiness in daily life and reaching full liberation. The tantric vehicle of buddhism uses as a base the principle of our experiences and our reality transformation, using visualization, mantras, and the development of pure vision as methods on the path towards full enlightment, that is the total knowledge of reality. During this course, we will discuss the essentials of tantric practice: the correct relation with a tantric guru, the several classes and various types of tantra, the initiation, the vows and the special methods of meditation, such as the deity Yoga. This module includes the participation to a Lam-Rim course, that lasts at least two weeks, in the style of the one month course held every year at Kopan monastery, and several practices of purification, to prepare the mind in the best way possible, to obtain realizations of the path to enlightment. 3 Nyung Ne (an intensive retreat of 2 days related to the Buddha of Compassion. The purification practices(prostrations to the 35 Buddahs and Vajrasattva) will be explained and performed during two years of teachings( in particular during the 8th module) and during the retreats. Generally at the Institute Nyung Ne is performed once a year, in May or June, as a group retreat in the special day of Buddha(Vesak or Saka Dawa). The student interested in the fullfillment of these practices will receive help and advice from the Institute’s staff. An entire cycle of 5 modules at the Institute(13 subjects of teachings and 5 paths of practice) lasts 2 years. The 13 subjects are presented monthly and the 5 paths of practice are approximately every 3 months. Discovering Buddhism is recommended to who has already got in touch with Tibetan Buddhism – participating to introductive programs, such as What is Buddhism, ABC of meditation or by attending some teachings of Tibetans Lamas or other Buddhist studies – and wants to acquire more comprehension about this spiritual and philosophical path. These previous requirements that have the purpose of creating a homogeneus study group, motivated to hold the program till the end, do not have to discourage Who, intrigued by a particular subject, wishes to participate to one or more of the 13 lessons by the Institute. As signed up to a single subject, who is intrigued by one or more subjects but is not ready to commit him/herself in the studies and in the study course practice, can sign in, as for any other course at reception. The course fee for every module is 30,00 Euros. The participant to a single subject will not have the benefit to get free access to the on line material but will be able to buy it after by subscribing the on line program and will not havde the access to the quarterly practice paths. 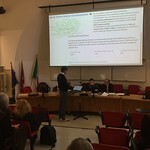 LINGUA: Italian, in very ecceptional cases during some weekends the courses can be held in english, with italian simultaneous translation on FM radio frequences. Ven. 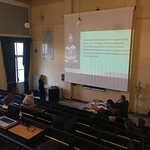 Ghialten Ciötso (Daniela Brandstetter), incontra il Dharma durante gli studi universitari di Biologia a Bologna dove prende rifugio con il Ven. Ghesce Tenzin Tenphel nel 1998. Poco dopo conosce il Ven. Khube Rinpoce che diventa il suo insegnante principale. Nel dicembre 2008 riceve i voti di monaca da S.E. Kyabge Ciöden Rinpoce al Monastero di Sera Je nel Sud dell’India. Ha completato il Masters Program 2008-2013, programma internazionale di studi avanzati di filosofia buddista nella tradizione tibetana, ll’Istituto Lama Tzong Khapa di Pomaia (PI). Ha guidato corsi come l’ABC della meditazione, Fondamenti del Buddismo e svolto attività di tutor per i corsi dei Ghesce e dell’attuale Masters Program. Una parte indispensabile del sentiero buddhista è la pratica della meditazione per questo in Alla scoperta del Buddhismo la partecipazione a brevi ritiri e la pratica dei soggetti affrontati è parte integrante del programma. I 5 percorsi di pratica che si alternano ai sogetti di studio sono principalmente dedicati alla meditazione degli argomenti studiati in precedenza. Saranno quindi organizzati come brevi ritiri in cui ogni giorno è dedicato alla meditazione di uno solo dei soggetti studiati, dal mattino presto fino alla sera. Durante la giornata verrà richiesto agli studenti di mantenere il soggetto sempre presente portando avanti l’analisi e la riflessione. 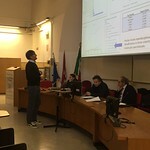 Sarà per questo richiesto allo studente di mantenere quanto più possibile il silenzio e di mantenere i 5 precetti. 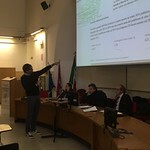 Una parte della giornata iniziale o finale del percorso di pratica verrà dedicato alla presentazione della piccola tesi, su un soggetto indicatogli dal tutor o dall’insegnante, che lo studente avrà preparato. 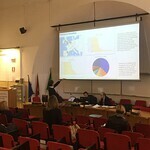 Lo studente presenterà il suo lavoro a tutto il gruppo per condividerlo e discuterne i punti. 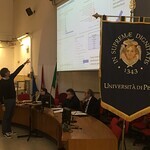 Partecipare ai percorsi di pratica è indispensabili per completare il programma. Brevi ritiri sono distribuiti nell’arco dell’anno. dal lunedì al venerdì dalle 9.00 alle 19.00 e nel fine settimana dalle 9.00 alle 17.00.